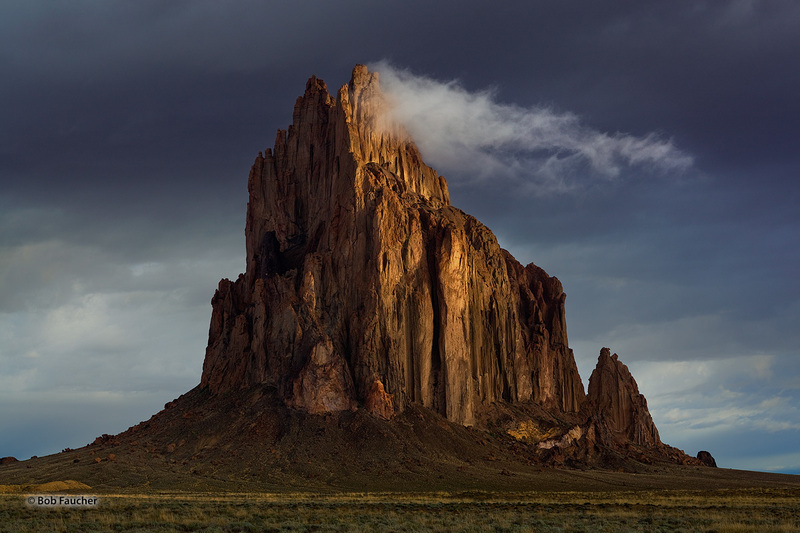 Shiprock, a diatremic monadnock, rises abruptly from the virtually level surrounding plain. The east face reflects morning sunlight while a wind-driven cloud clings to its 1700 foot summit. Located within the Navajo volcanic field, it is a classic geologically-distinct landform of the Colorado Plateau. The landforms of the Navajo volcanic field also figure prominently in the empirical knowledge and culture of the indigenous Navajo people. Photo © copyright by Robert Faucher.